Distribute your Swing application via Java Web Start! You have developed a nice desktop application and have been breaking your head to create an executable to distribute for different platforms! Here comes Java Web Start for your rescue, distribute your Swing application via web, no installers, no custom code for desktop shortcuts, no tweaks for auto-upgrades! Let me explain the process step by step. Step 1: Jar your classes and resources using your favorite build tool. Say your jar file is myswingapp.jar, rename it to myswingapp__V1.0.jar, ie, add '__V' and an initial version say 1.0. I will explain why this is needed in the coming section. Step 6: You are done! Now you can launch your application by accessing your download page, just click on the 'Launch' button, the installer will download your application and install it with a desktop shortcut as well as a menu item to launch the application. Great, isn't it? Signing jars: If you want your application to run with full access, you must sign all your jar files. Updates: An update check will be performed in the background and if an update is available, the application will download it and install it in the background! You just need to put your latest jar files, that's it! Feel free to drop your comments. I will address your queries based on time availability! A system to achieve every programmer’s dream. 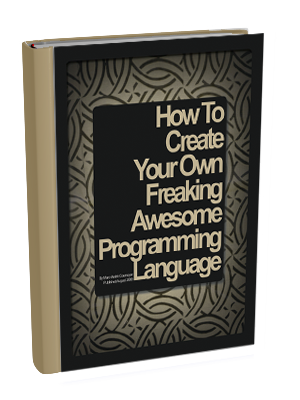 Learn how to create a simple programming language in a few days with this easy step-by-step guide. I mentioned wrong in the first post but I have already named my file as myswingapp__V1.0.jar and have those problems. Deploy your jnlp file in a web server, change your base url in jnlp accordingly. Also recommend you to upgrade to the latest version of Java as Java Web Start is not stable in any of the previous releases. Some browsers automatically opens jnlp file on clicking jnlp file link.